These days, I pretty much never make anything for myself. 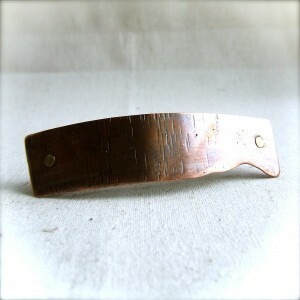 But, I’ve been looking for a nice, sturdy hair clip for my thick, unruly hair. 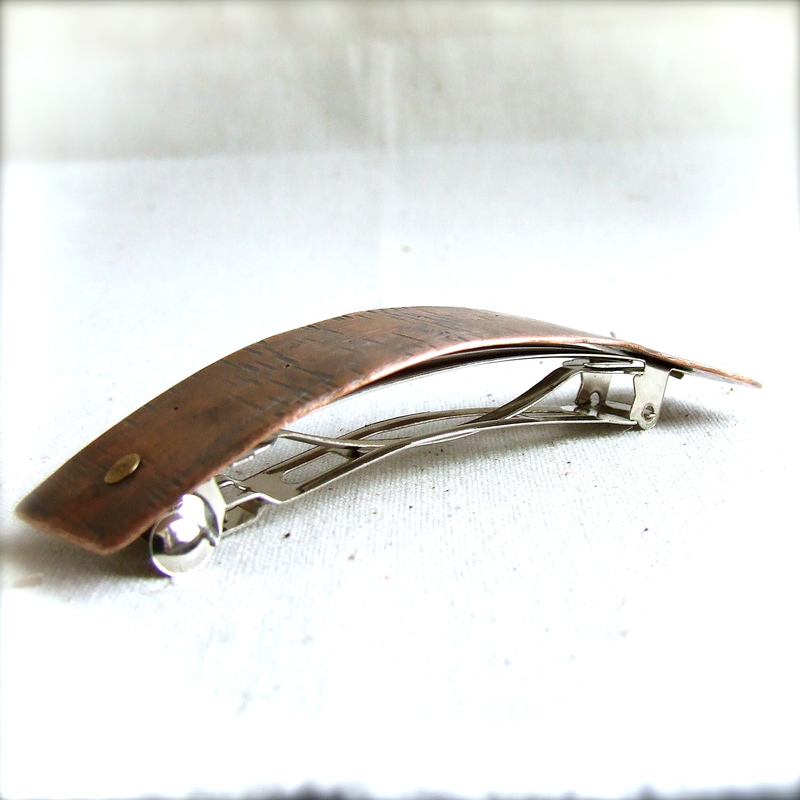 So, I got out some Copper sheet metal, some rivets and a clip… and voila! I love it’s rustic, faux-bois texture! Have you made anything just for you lately? This is so pretty and what a great idea to make a hair clip. In a sea of earrings, necklaces and bracelets, this is genuinely original!